YellowAirplane.com: The F-4 Phantom II Jet Fighters DVD Videos, DVD Movies, Documentaries. The F-4 Phantom II Jet Fighters DVD Videos, DVD Movies, Documentaries. F-4 Phantom DVD Videos Movies Section. In the Jet Fighters DVD Video Department. F4 Phantom II Military Supersonic Jet Fighters DVD Videos, DVD Movies, Documentaries DVD Videos. F4 Phantom II, aviones de combate militares supersnicas DVD Video, DVD de pelculas, documentales DVD vdeos. The F-4 Phantom II Supersonic DVD Videos, DVD Movies, and Documentaries. DVD Videos, Movies and Documentaries of the F-4 Phantom II was built by McDonnell Douglas. The F4 Phantom II was a large airplane for being a jet fighter with a length of 62' 10" and a wingspan of 38' 5". The airplane weighed 28,276 lbs empty and had a max weight of 58,000 lbs. The F-4 had two General Electric J-79 engines with 17,000 lbs each while using afterburners, with a combined total thrust of 34,000 lbs. The F-4 Phantom II had a max speed of 1459 mph, a cruise speed of 587 mph and a max range of 1370 miles. DVD Videos, DVD Movies and Documentaries of the F4 Phantom II Supersonic Jet Fighters. .Please Note: The specifications on this page are only for a single model of this airplane. A member of Light Attack Squadron 212 s "Rampant Raiders," A-4 pilot Stephen R. Gray writes about his experiences flying combat sorties from the deck of an aircraft carrier during one of the most intense periods of aerial combat in U.S. history. From the perspective of a junior naval aviator, Gray reveals the lessons he learned first at the Naval Aviation Training Command and then in actual combat flying the Skyhawk from USS Bon Homme Richard in Vietnam. Training strengthens commitment, Gray points out, allowing ordinary men like him to fly dangerous missions. Readers will discover how circumstances created heroe--heroes who managed to overcome their personal fears for a greater cause--and how, despite the lack of public support for the war, the men remained committed to one another. The book addresses how men react to service during contentious political times to offer lessons relevant today. 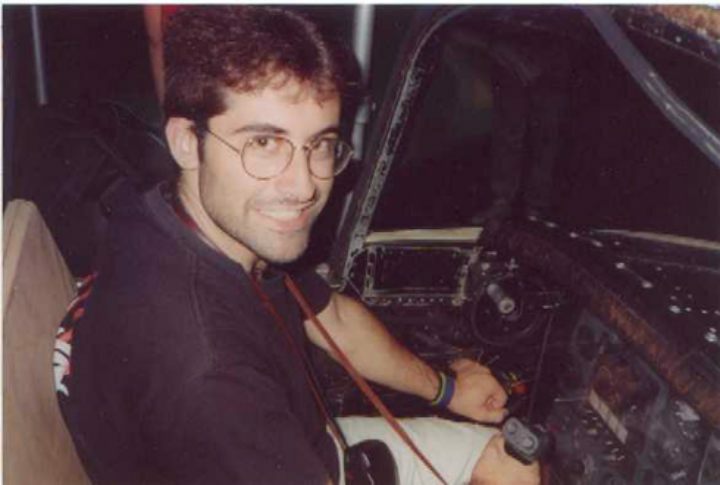 STEPHEN R. GRAY became a flight instructor at the U.S. Naval Air Station in Beeville, Texas, after his aerial combat service in Vietnam. He left the Navy in 1972 and flew commercially for Delta Airlines for thirty years, logging more than twenty-four thousand flying hours. He lives in Hemphill, Texas. Colonel Robin Olds, legendary fighter pilot, is your guide to one of the most audacious ploys in the history of aerial warfare. In this program, computer animation, historical footage, and Olds' firsthand accounts take you back to the Vietnam War to ride along with Olds' lethal F-4 Phantom II squadron, the Wolfpack, as they set an intricate trap for enemy MiG-21s. The result was Operation Bolo, the most elaborate air sting of the war. 50 minutes. 6 films on one video documenting the role of Marine Aviation in Vietnam. Includes: Counter Punch, featuring USMC Phantoms and Skyhawks at Da Nang with pilot briefings, missions, ground crews, maintenance; Sand & Steel: Marines & Seabees at Chu Lai; On Target with VFMA 323; Ugly Angels: the role of Marine helicopters; and VMCJ Photo Recon. Video Includes Marine Helicopter Squadron At Soc Tran in 1962. Wings over Vietnam Meet the men who took on some of the war's most daring missions and climb aboard the planes that went with them. The Phantom, SideWinder and Skyhawk filled the skies over Southeast Asia more than two decades ago, becoming emblematic of the war's most vital chapters. And in a testament to their longevity all three are still in service today. Nighthawk: Secrets of the Stealth The F-117 Nighthawk, better known as the Stealth Fighter, has been flying since the 1980s. But until the Gulf War erupted, almost nothing was known about this hidden-to-radar aircraft. Now, follow the chronological development of the Nighthawk as interviews with engineers and designers reveal key facts about the world's most invisible jet fighter. From the Webmaster: I have one of these clocks, except of the USS Kitty Hawk and it's really super beautiful, I love it. Attack aircraft and their advanced weaponry are amongst the most awesome weapons on today's battlefield, streaking over enemy lines to deliver their deadly payload of rockets, guided weapons and bombs. In this video, you'll fly with the A-4 Skyhawk, the mighty F-4 Phantom II, the carrier-borne A-7 Corsair II and international aircraft such as the Israeli Kfir and the Anglo-French Jaguar to experience firsthand the incredible abilities of these hard-hitting machines. Dolby Digital 5.1, 1 hour. Showing you all aspects of modern air combat, this 6-DVD collection includes all six titles - Fly Low, Hit Hard; Target Tank; Eagles in the Sky; Red Star; Flat Tops; and Spies in the Sky - from the In the Cockpit series! You'll view thrilling footage of the A-4 Skyhawk, the F-4 Phantom, the A-7 Corsair II, the Huey Cobra, the F-15 Eagle, the Soviet MiG-29 Fulcrum, the F-14 Tomcat, the SR-71 Blackbird, and many others. 6 hours. You'll watch incredible historical footage of fighting Phantoms in action, and then… it's your turn to fly! Take a series of unbelievable flights as F-4s chase down narrow rock canyons then, inverted, knife over ridge tops. Cameras were mounted all over the aircraft so you could experience the sensation of flying formation, soloing, refueling, and going supersonic 30 feet off the deck! Wingtip to wingtip, canopy to belly, there's nothing like this video anywhere. 1 hr. 30 min. Running time 1:12 Three films of USAF missions over Vietnam. The 25 Hour Day - Story of the F-105. Depicts the Thud’s interdiction mission cutting Viet Cong supply lines. Mission profile from briefing, bombing up, aerial refueling, the mission, return... and rescue by the Jolly Green, only to begin again for the next round. Tactical Air Power - Demonstrations of the latest striking power of the Tactical Air Command Weapons deliveries, assault airlifts, close air support and photo-recon missions. F-105s, F-111s... incredible low level footage. U.S. Air Forces in Vietnam - Portrait of almost every aircraft that flew in Vietnam... B-57s, RF-4Cs, F-105s, C-123s defoliating the jungles. O-1E’s sticking their necks out, and you hear the air-to-air conversations, the horrible fury of the C-47 Spooky’s gatling gun, plus C133s, C141s and more. From the first prototype in 1958 to the AMARC desert boneyard at Davis Monthan AFB today, this image library follows more than fifty years of the fabulous F-4 Phantom II. You get 266 images of colorful USAF and USN fleet aircraft, Blue Angels, Thunderbirds, and F-4s of other nations that are suitable for printing photos up to 8"x 10", calendars, posters and more. 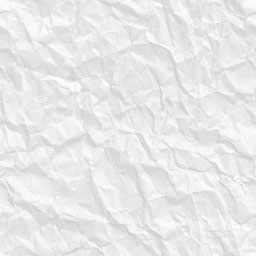 Includes thumbnail index pages; PC and Mac compatible. In this 1991 comedy spoof of Tom Cruise's Top Gun, Charlie Sheen stars as Topper Harley, a renegade fighter pilot who, recruited to join a top-secret U.S. Navy mission, finds himself coping with an incompetent admiral (Lloyd Bridges) and a squadron of flyers who are either inept or half-blind. Includes footage of the Folland Gnat, F-5 Tiger II, T-38 Talon, C-135 Stratolifter, F-4 Phantom II, A-7 Corsair II, and many others. Widescreen, Rated PG-13. 1 hr. 24 min. Sorry, I'm not selling Trash on this Website. From "Flaming Dart" to "Rolling Thunder," the skies over Vietnam exploded with incredible air attacks. Be a part of history as U.S. F-4 Phantom II's take to the air against Russian supplied MiG's. Eavesdrop on top-secret military mission plans. Witness amazing war footage. And meet the pilots of A-4s, F-105s, giant B-52 bombers, AC-47s and more. 50 min. Attack aircraft and their advanced weaponry are amongst the most awesome weapons on today's battlefield, streaking over enemy lines to deliver their deadly payload of rockets, guided weapons and bombs. In this video, you'll fly with the A-4 Skyhawk, the mighty F-4 Phantom, the carrier-borne A-7 Corsair II and international aircraft such as the Israeli Kfir and the Anglo-French Jaguar to experience firsthand the incredible abilities of these hard-hitting machines. Dolby Digital 5.1, 1 hour. 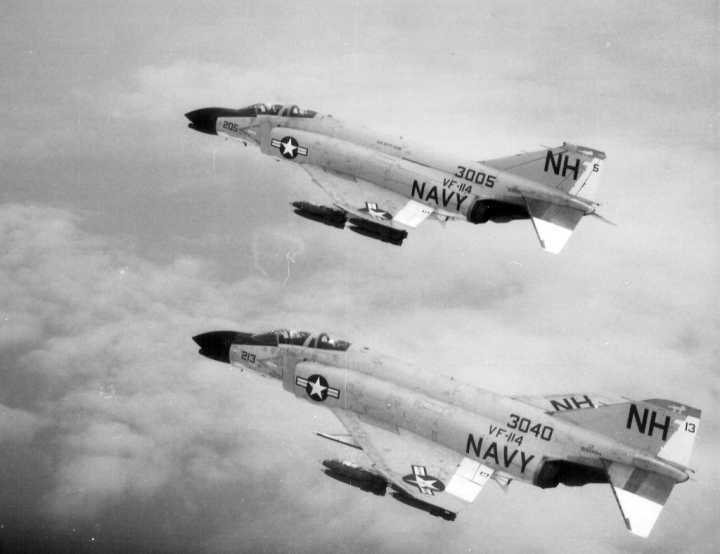 In the skies over Korea and Vietnam, the communist supported forces flew Soviet-made MIGs - some of the most feared military aircraft ever - against American jets. Here is stunning combat footage of these historic encounters. See F-4 Phantom II's in Vietnam engage the finest warplanes the Soviet Union had ever made, and watch harrowing dogfights from Korea, where the capability of the MiGs came as a surprise to American pilots. Military experts and the men who flew detail the differences between the Soviet planes and their American counterparts, as they explain the strategies that were devised. It's a definitive look at the Cold War in the skies. 50 minutes. Lengthy sequences of T-Bird performances in each of their aircraft. Wonderful scenes of F-100, F-105, F-4, T-38 and F-16. Historic scenes of the old F-84 from 1953. The camera catches the action from both outside and inside the cockpit where the viewer can get the feel of what it’s like to fly tight formation. 60 min. Then take a trip with us to the North Pole next April. I will be there too will be glad to meet you. Look at this fantastic Model F-4 Phantom II built by Master Model Builder Inaki Ruiz. What does a model look like when it was built by a master model builder? This is the F-4 Phantom Exhibit from Inaki Ruiz from Spain. He builds fantastic model airplanes that are realistic beyond compare. His models win major competitions and he goes out of his way to ensure detail and accuracy of his model kits.